She was a widow, a businesswoman, an adulteress. In her lifetime, she knew murder, prejudice, and faith. She transformed from a Jewish girl longing for family to one of the closest friends of Jesus of Nazareth—the Son of God. HER NAME WAS MARY MAGDALENE. 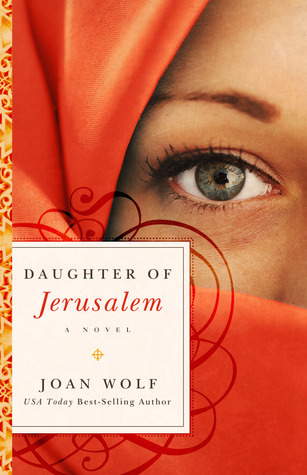 In this fictionalized story of one of the Bible's most compelling women, New York Times best-selling author Joan Wolf beautifully recreates the history, romance, and tradition of Mary's world. Daughter of Jerusalem follows Mary's life from her first love through her loveless marriage, to the moment she heard of a miracle worker in her own town—and ultimately to the moment she saw Him risen from the dead. As this inspiring chronicle reminds us, Mary was the first to witness history's greatest moment. She was a woman who sought forgiveness for her sins, and a follower of God who yearned for a deeper faith. She was Jesus' beloved disciple. Read Mary Magdalene's story and find yourself in this remarkable woman's journey to discover the Kingdom of God. Daughter of Jerusalem really surprised me. Mary Magdalene's life was fascinating. I knew a little about her from church when I was a kid, but Joan Wolf really brought her to life. Her first love, heartbreak and look at what life was really like will hit you hard. Watching as she fell from her beliefs and then struggled to find her place once she found them again was quite inspiring. Her relationship with Jesus was interesting for me. Having never pictured him as a person you can just walk up to and have a discussion with, the talks they had were incredibly well written and brought both characters to life in a whole new dimension. I hesitate to call this a Christian book - because there is no preaching or being hit over the head with faith. It is just the story of a woman trying to find her way, and the amazing things she was able to do once she had. Absolutely beautiful.